This is fresh and crisp, unoaked and super drinkable. It’s a chill it down, pop it open and enjoy kind of wine. Lots of fruit (citrus, passionfruit and pear) and crisp acidity make it a perfect sip on its own or with some freshly grilled seafood. The more formal stuff … it’s a medal winner at the Sydney Royal Wine Show 2018, it’s from Tumblong Hills in NWS at the foothills of the Snowy Mountains and the grape variety, Fiano, is a south Italian native. Saluti! 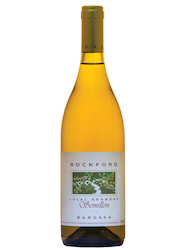 A fan favourite, there is always a bottle or two of Rockford Semillon in the house! With a bit of age on it this wine becomes one of the most delicious whites on the table and I couldn’t agree more with winemaker Ben Radford when he says, “It’s a wine that invites itself to lunch”. Ripe citrus, lemon curd, round and generous on the palate, so as the weather cools enjoy this with a delicious roast chook. Another constant in our cellar, Salo is made by Steve Flamsteed (Giant Steps) and Dave Mackintosh (Arfion) and it’s the biz. Packed full of flavour, this is a delicious wine that pairs with lots of different dishes – roast meats, pasta, warm salads or seafood. The Yarra Valley fruit comes from the Full Moon vineyard in the Gladysdale sub-region and this vintage commemorates 10 years since the first Salo wines were bottled. What better way to celebrate that cracking open a bottle! Winemaking info … whole bunch pressed directly to large format barrels, fermentation using indigenous yeasts, no MLF, fining or filtration. So utterly delicious, this red wine from Simon Killeen is flying off the shelves. If you haven’t tried it, you don’t want to miss out. Made from another Italian native grape, Nebbiolo, this example is simply fabulous and super easy drinking – generous, silky, black fruit, floral and liquorice, just perfect for the coming winter nights! The fruit comes from the Alpine Valleys of north east Victoria, where the vines grow in old river beds. After destemming the bunches, the fruit was gently crushed, fermented and then aged in French oak (20% new) for 22 months. This is a perennial favourite at HWW. Soft and generous with all things ripe, round and spicy. A classic Barossa Shiraz and one that will not disappoint with the added bonus of coming from 2013 – a high quality vintage. 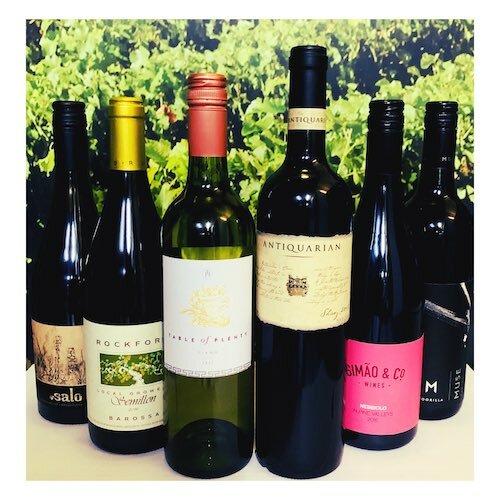 Selecting only the best vintages to produce this wine, the winemaking team includes Phil Reedman MW (Master of Wine) and Peter Gajewski, who previously worked alongside Max Schubert, creator of Penfold’s Grange. The wine was matured in French oak barriques for 24 months and is drinking beautifully now but will continue through until 2023 and beyond. Such a perfect wine for the coming cold. Dark and brooding with classic Cabernet notes of blackcurrant, plum, black olives and herbs. 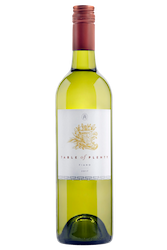 Elegant, with brilliant purity of fruit and a crystalline structure. Crack a bottle open, let it breath and pair it with a hearty winter dish to enjoy. Grown in the St Matthias Vineyard on the western bank of the Tamar River in Northern Tasmania, the fruit was fermented in a mixture of French oak and stainless steel. Maturation was in French oak barrels (25% new) for eight months before bottling.